Part of the challenge of travelling is baggage handling, and this is certainly true in Venezia. There are so many stairs!! 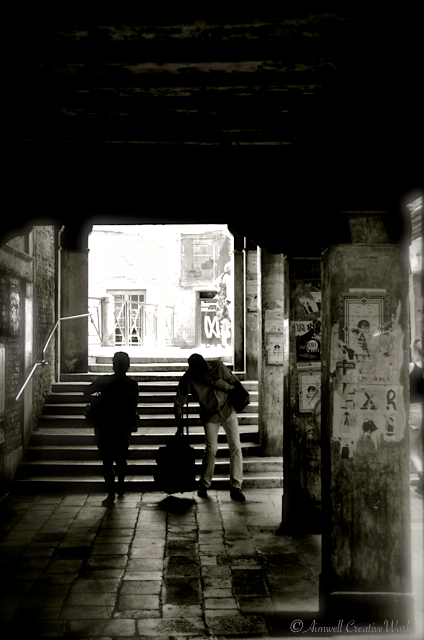 This entry was posted in Italy, Photography, Travel and tagged Aimwell CreativeWorks, black and white, Dorothy Chiotti, Italy, Leanne Cole, monochrome, Photography, Travel, Venice. Bookmark the permalink.